My childhood includes many wonderful memories of Maui: boogie boarding, sunburns, snorkeling for hours on end, the scent of leis, rainbow sunsets, and more. It was enough to make me believe that I truly knew everything there was to know about the Hawaiian island. That is, until I returned as an adult and saw it from an entirely new perspective: the air. 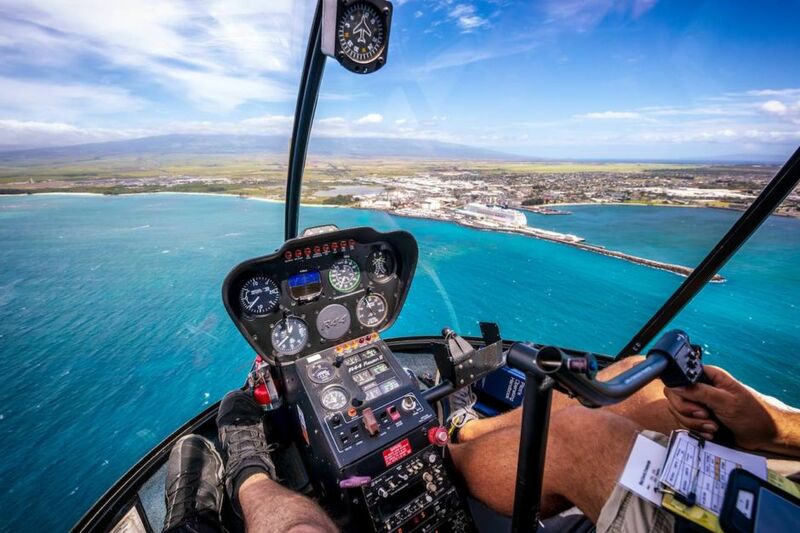 Boarding a doorless helicopter and heading to the skies is an exhilarating, heart-pounding way to see Maui and a humbling experience for someone who thought they’d seen it all. 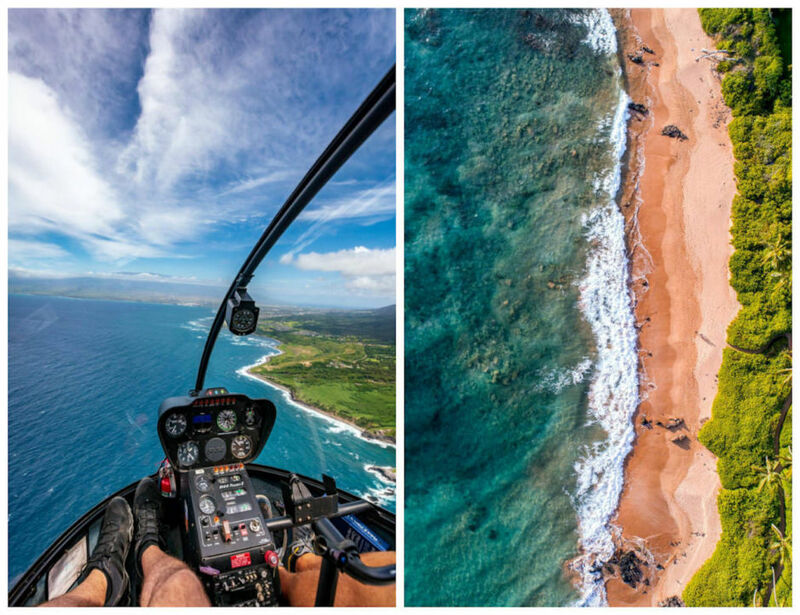 These photos show how spectacular Maui is from above and prove just how much land there is yet to explore on the ground. Predictably, this adventure started off at an airport. 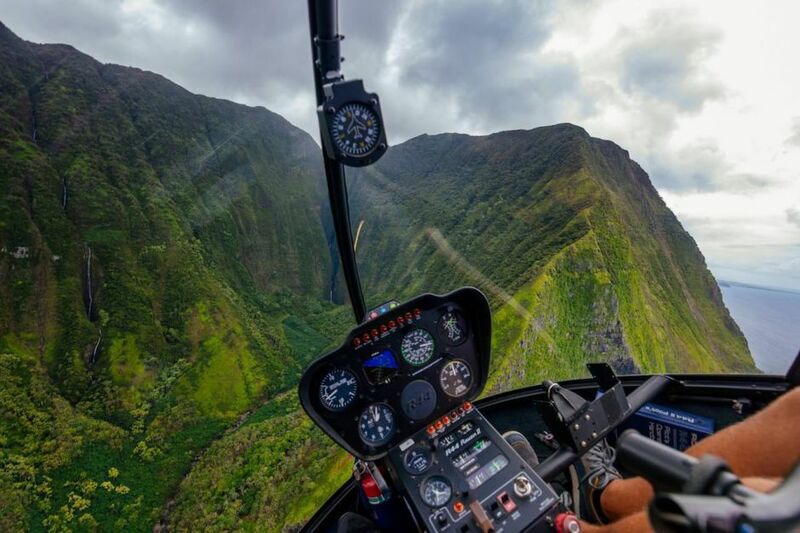 Pacific Helicopter Tours is one of few outfitters to offer all of its tours without doors and customizable flight plans, which is vital for photographers, as well as a bonus for anyone looking for unparalleled views without pesky glares. Within minutes of takeoff, we were in the Iao Valley, part of the West Maui Mountains. The scale of it all is a bit too much for the human brain to process, leaving you slack-jawed and likely with the Jurassic Park theme on repeat in your head. As we went further into the mountains we passed Honokohau Falls. They are only accessible by helicopter and the tallest falls here at 1,119 feet (pictured left). 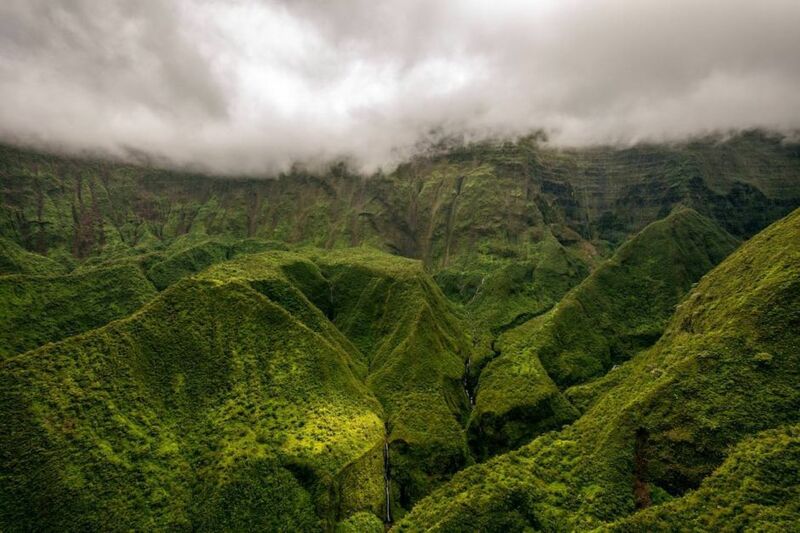 On the way out of the West Mountains, you’ll pass by the Wall Of Tears, which consists of about 17 waterfalls near the summit of Pu'u Kukui (pictured right). An ancient legend says the gods poked their fingers into the sides of the cliffs to create the appearance of the mountain crying. 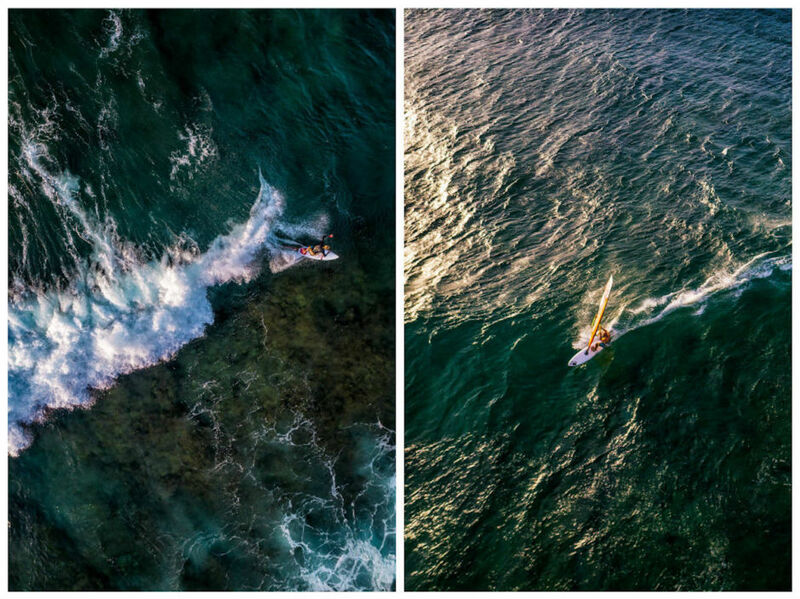 Skirting along the Maui coastline is a visual feast for the eyes: the practically neon colors, the endless horizons, and the brand new view looking straight down will blow your mind. You can see in the helicopter that we were pretty snug, which did make my heart jump a bit, but it was worth it to have that full unobstructed view of it all. 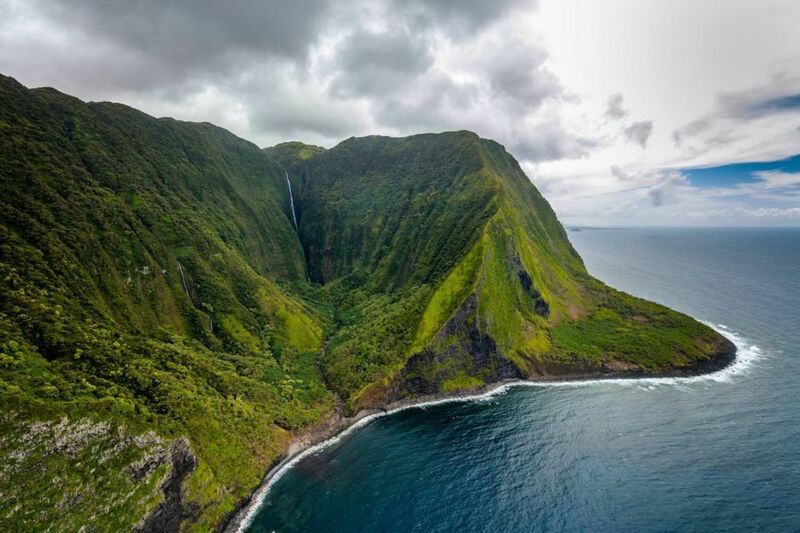 Because helicopters are rad, you can quickly nip across the Pailolo Channel to check out Molokai’s north shore, which has some of the highest sea walls in the world. 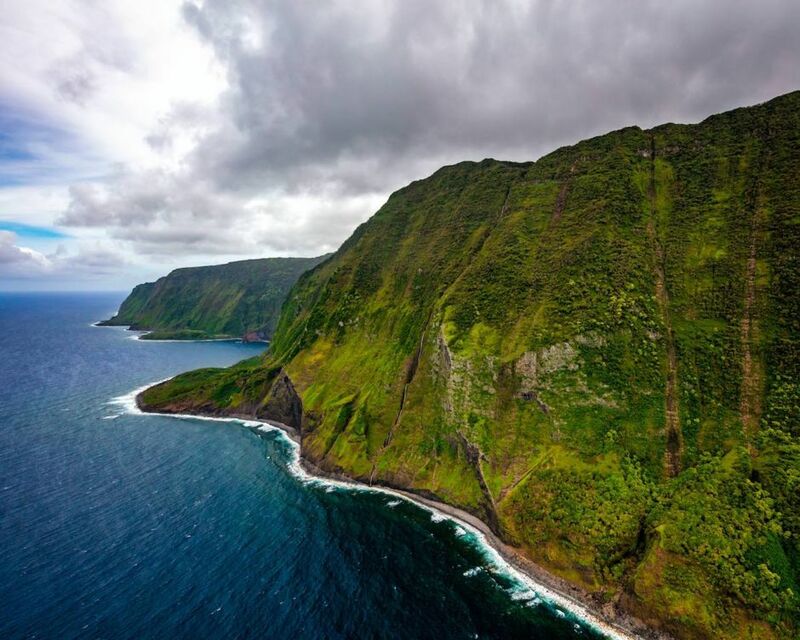 The island is the fifth largest in the Hawaiian chain and has a population less than 3,000. There are mountain goats along the coast, and if you’re lucky, you may catch a glimpse of one on the approach to Papalaua Falls. 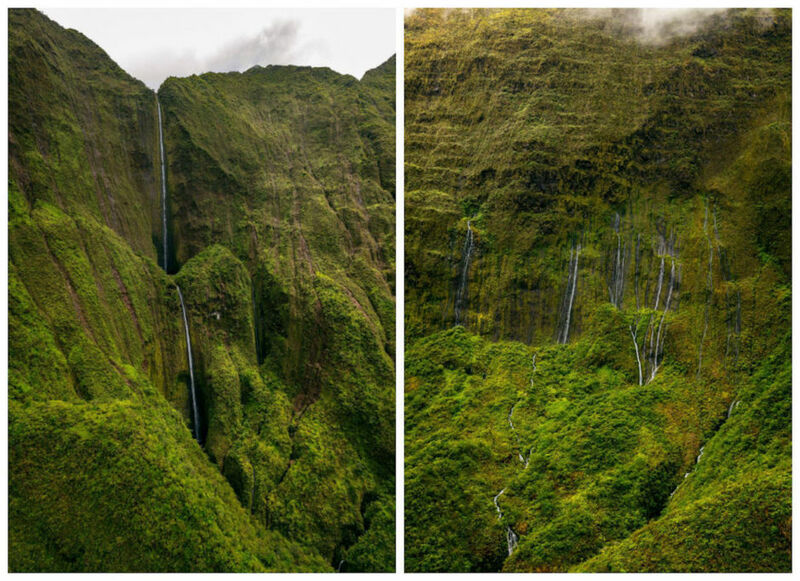 Papalaua Falls is an impressive 1,200 feet tall and is extremely turbulent to fly next to. It got a little cold compared to the warm air I had encountered on the tarmac before takeoff. The weather became so turbulent, in fact, that our helicopter caught a thermal and autogyro’d over the top into the Halawa Valley. That means it had no pitch in its blades, and an updraft lifted us up about 800 feet in a few seconds. It was like being on a rollercoaster. Back on Maui, the coast greets you with the Kahakuloa Head. It is believed that the Kahakuloa Head was one of King Kahekili's favorite cliff-diving spots during his rule in the 1700s. The view from 1500 feet up continues to impress and is far from getting old. 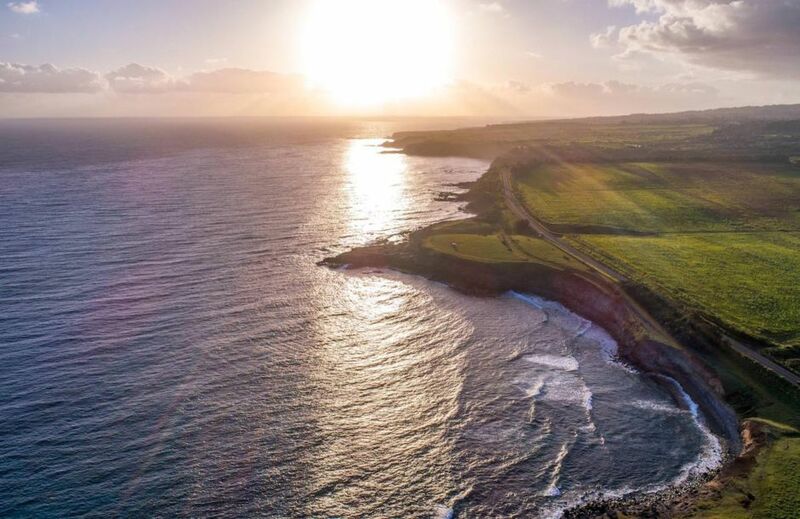 I couldn’t quite get enough of Maui from the air, so after my flight, I booked it to Ho’okipa and sent my drone up. Ho’okipa is a world-renowned windsurfing spot when the tradewinds pick up in the afternoon. The waves are normally very large, so the surfers here are some of the best on the island. 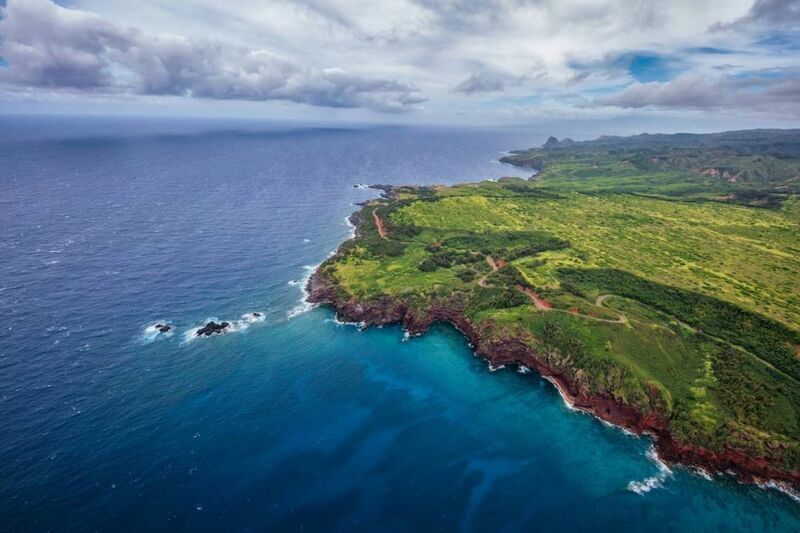 Maui is really a destination with endless opportunities and discoveries for adventurers. Each time I visit, I am blown away by something I didn’t notice before - new destinations, new hikes, and new views - but seeing it from above is something else altogether. It’s a behemoth of beauty that will have you returning time and time again to uncover more.